Thousands of employees are victims of unpaid wages. You work hard, work overtime, and when you get your paycheck you figure out that not only haven’t you been paid overtime but you also haven’t even been paid for all your regular hours. If you find yourself in a situation like this, you should contact a NYC unpaid wages lawyer. Unpaid wages refer to all wages that were earned by an employee but were not paid. The Fair Labor Standards Act (“FLSA”) is a federal law that has set forth strict and quantifiable standards for employers. Employers must pay all non-exempt employees for every hour that he/she worked, in compliance with overtime regulations and current minimum wage law. If your employer has not paid you in compliance with overtime or minimum wage laws, you are entitled to pursue an unpaid wage claim. You may also be entitled to penalties and attorney’s fees, in addition to payment of wages owed. Remember, there are laws against not paying employees so if your employer or former employer owes you money, you should seek legal advice from a New York City unpaid wages lawyer. Back pay is the difference between what an employee was paid and the amount he or she should have been paid but for some discriminatory action taken by the employer. Some forms of wage theft and unpaid wages are obvious, such as an employer completely failing to pay a worker for duties he or she performed for compensation. However, other forms of wage theft are more clandestine and require diligence on the part of the employee to discover. While a variety of industries use commissions to incentivize employees to close more sales, some employers nonetheless unlawfully fail to pay employees their proper commissions. This is why it is important to have a written employment agreement stating the commission structure, the conditions under which sales commissions are earned, and how the employer pays those commissions. If you do not have such an agreement or if your employer violates it, you should contact a NYC employment lawyer. If your job is on this list and you were denied overtime or otherwise paid improperly, you may be able to file an individual lawsuit. 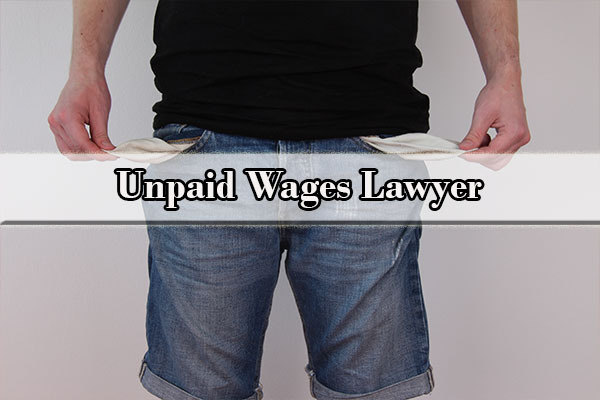 Experienced unpaid wage lawyers at the Law Office of Yuriy Moshes, P.C. will consult with you regarding your options. Misclassified as exempt: Some employees are considered “exempt” from overtime pay and other federal pay provisions. This means they are not entitled to overtime pay when they work more than 40 hours a week. Unfortunately, employees can sometimes be wrongly classified as “exempt” either because their employer doesn’t understand the law or is trying to avoid paying overtime. For instance, an employer may promote a cashier to “assistant manager” without changing the worker’s job duties to claim that he or she is an “exempt” manager and therefore not entitled to overtime wages. However, it is the employee’s actual duties that control, not the employee’s title. If you were “promoted” this way and now face unpaid overtime, consult with a NYC wage and hour attorney. Misclassified as an independent contractor: Independent contractors typically work on a contract basis for other businesses. They are considered self-employed and are not entitled to overtime compensation. Our employment attorneys handle lawsuits against employers who have either intentionally or unintentionally misclassified their workers as independent contractors despite the fact that they meet the definition of an employee and should receive overtime pay. Employer fails to pay minimum wage: In New York City, the minimum wage is $13.00 per hour for companies with 11 or more employees and $12.00 per hour for companies with 10 or less employees. The minimum wage in Long Island and Westchester is $11.00 per hour and the minimum wage in the remainder of New York State is $10.40 per hour. Despite these laws, some employees are still cheated out of minimum wage. Day-rate workers and tipped employees are particularly susceptible to minimum wage violations because of how they are paid. If this is the case with you, you need the help of a NYC wage attorney to help you recover your wages. If your employer is not properly tracking your work time, you might not be getting paid for the hours worked. Employer pools tips with non-tipped employees: Tip pooling occurs when tipped employees (e.g., waiters, busboys, bartenders, etc.) put their tips in a general “pool” that is later equally divided among tipped workers only. While these tips belong solely to tipped workers, non-tipped employees (e.g., the business owner, managers, cooks, etc.) may wrongly collect a portion of these tips. This is illegal. Employer fails to pay overtime each week: Some employers will take the total number of hours worked over the course of two weeks and divide that number in half to get the total number of hours worked each week. However, this too is illegal and can serve to cheat workers out of overtime pay. For example, an employee who works 30 hours one week and 50 hours the next has his hours averaged and his paycheck shows that he worked 40 hours each week. As a result, he never receives overtime pay for the 10 hours he worked in the second week. Comp time instead of overtime pay: Instead of giving their workers overtime pay, some companies may give their workers “comp time” or hours that can be used toward a vacation or sick time. Only state and local government employees, however, can legally receive “comp time” in lieu of overtime pay. If your employer is stripping you of money that is legally yours, it is best to consult with a NYC wage and hour lawyer. The employer pays “half-time.” Half pay or the “fluctuating workweek” is when workers receive overtime pay at a rate one-half times their typical hourly rate, instead of one and one-half times their typical hourly rate. There are, however, strict criteria the employee must meet to be eligible for “half-time.” These criteria include that the employee’s hours fluctuate between weeks, the employee receives a set salary that does not change with the number of hours he or she works, and that the worker and employer have a “clear mutual understanding” that the worker will receive the same amount each week regardless of hours worked. Some employees receive “half-time” overtime without meeting these criteria, resulting in underpaid overtime and minimum wage violations. My Employer Did Not Pay Me. What Can I Do? Employees who have unpaid wage claims have two ways to pursue their claims. The first way is through the U.S. Department of Labor’s Wage & Hour Division (“WHD”), which processes claims on behalf of employees around the nation. The WHD is responsible for enforcing the FLSA. The WHD will conduct an investigation as a part of its enforcement of the FLSA. This is often a less expensive and quicker alternative to a lawsuit. How and when you were paid. Additional information, such as copies of pay stubs, personal records of hours worked, or other information regarding the employer’s pay practices, is helpful. The services WHD provides are free and confidential, whether or not you are documented. If the WHD’s investigation uncovers evidence of unpaid wages, the WHD will seek all the unpaid wages to which you are entitled. The most common remedy for unpaid wages is an order that an employer pay the difference between what the employee was paid and the amount he or she should have been paid. The Secretary of Labor may also obtain an injunction to restrain any person from violating the FLSA, including the unlawful withholding of proper minimum wage and overtime pay. The other option is for an employee to file a private lawsuit in court and sue your employer for back pay and an equal amount as liquidated damages, plus attorneys’ fees and court costs. Importantly, your employer cannot terminate you or otherwise discriminate against you in any way for filing a complaint with the WHD or in court. Any employer who discharges or otherwise discriminates against any employee because the employee has filed a complaint under the FLSA may be liable for such appropriate relief as employment, reinstatement, or promotion. An employee cannot bring a private suit if he or she has already been paid back wages under the supervision of WHD or if the Secretary of Labor has already filed suit to recover the wages. Another option may be to contact the employer informally to try to negotiate a settlement of your wage claim without filing any claim with the WHD or in court. Experienced wage dispute lawyers at the Law Office of Yuriy Moshes, P.C. can compare these options for you so you can make an informed decision about what to do and successfully represent you both in negotiations with employer and in court. Additionally, a 2-year statute of limitations applies to the recovery of back pay. However, in the case of a willful violation, a 3-year statute of limitations applies. Additionally, there is a 6-year statute of limitations that applies to all claims for unpaid wages filed under the NYLL. Since there are many legal details you should keep in mind when bringing a claim under the FLSA or the NYLL, it is better to consult with an experienced unpaid wage lawyer to be sure that everything is done correctly and according to the proper procedures. Further, employers who willfully violate the minimum wage or overtime laws are subject to civil penalties of up to $1,000 for each willful violation. Willful violations of the FLSA may result in criminal prosecution and the violator can be subject to a fine of up to $10,000. A second conviction may result in imprisonment. If you unsure how to file a complaint with either the WHD or the court, or concerned about possible retaliation against you because of your complaint, call a NYC employment attorney at Law Office of Yuriy Moshes, P.C. for a free consultation. 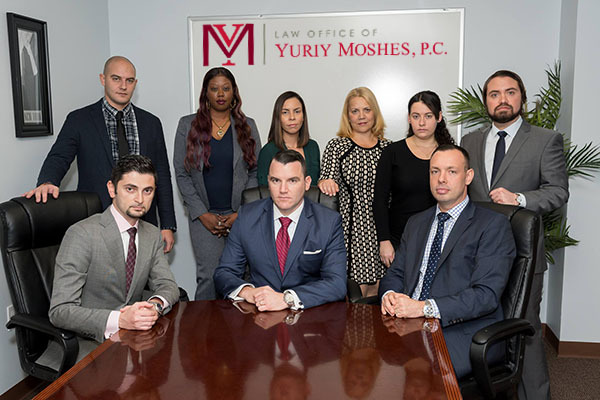 The Law Office of Yuriy Moshes helps protects workers in New York City area including all of its boroughs (Manhattan, Brooklyn, Queens, the Bronx and Staten Island) as well as Northern New Jersey, Long Island, and Upstate New York.